The weather on Sunday 8 June was great and… no, let’s not start this way. The weather was actually pretty challenging. 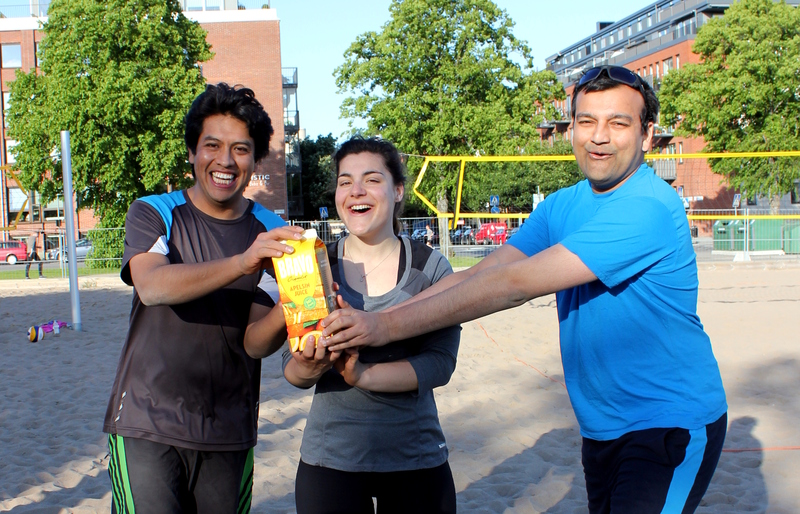 Especially since the goal of the day was to play beach volleyball. Because you see, volleyballs, they are fairly light and the crazy winds that barely took a break during the whole day, well they didn’t contribute to smooth games. 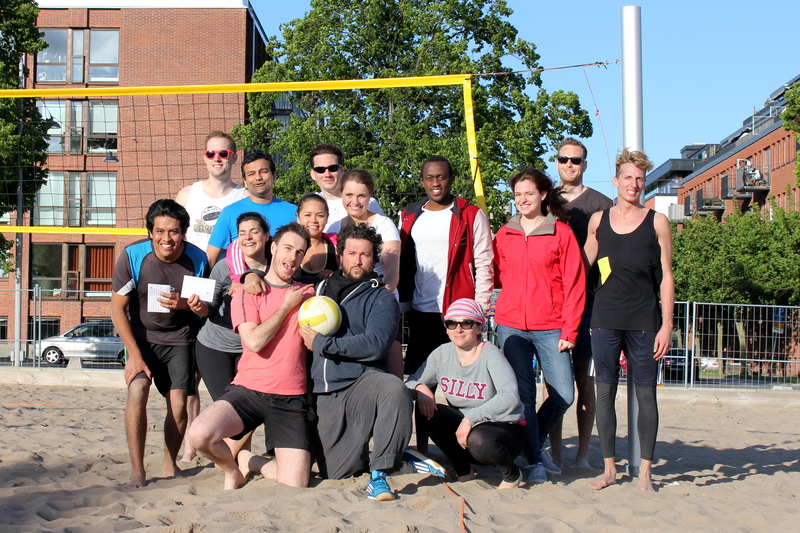 But what is an annoying windy weather when you have motivated people, eager to throw themselves in the sand to save each ball, and above all, glad to be there and spend a fun afternoon together? We, at SmOD, are very satisfied with the way the fundraising tournament went. Most people who had registered showed up and the tournament consisted of 7 teams that built 2 groups. The best 2 teams from each group went on to play semi-finals and finally, a final decided the day’s champions. 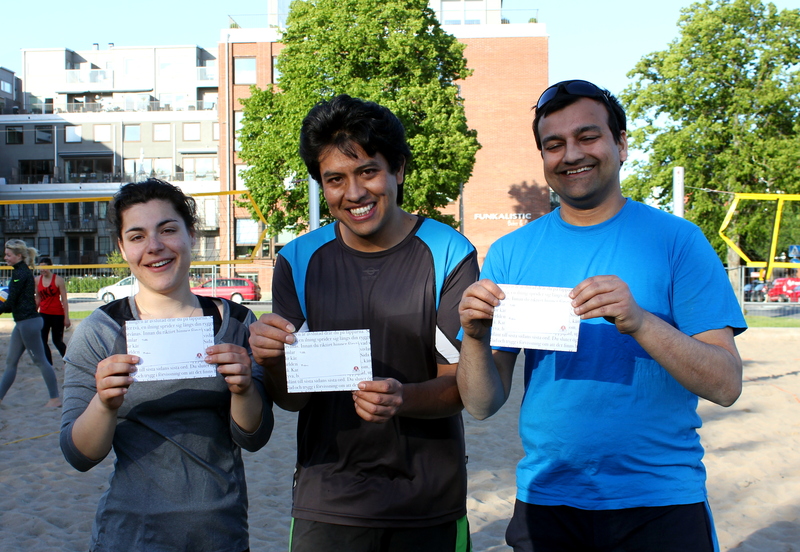 A total of 12 matches were played and here are the beautiful winners: first with their improvised juicy trophy, and then with their real prize, 75 sek each to use at Akademibokhandeln. The purpose of the event was to raise funds for SmOD’s first development project: ReforesTogo. In partnership with a local Togolese NGO, SmOD aims at implementing a reforestation and sensitisation project near Sokodé, Central Togo, in order to improve people’s livelihoods at the same time as the project contributes to climate adaptation. Thanks to the registration fee of all participants as well as the extra generosity of some, 875 sek were raised, bringing us a little bit closer to the around 13 000 sek that we need to apply for a Forum Syd grant. A great thank you to all of the participants and congratulations to the three winners! That’s exactly what I thought: let’s join both passions! Thanks for being there and congrats for winning!